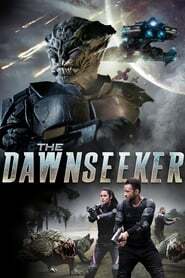 Set in the year 2245 when Earth’s sun threatens to wipe out all of humanity, “The Dawnseeker” follows five hired mercenaries who travel to an uncharted planet to collect a rare mineral known as stardust to replenish the dying star. After their spaceship crashes on the alien planet, they are stalked and hunted by a creature far more advanced than anything they have ever encountered before. After a one night affair, a young man is left with extra power and a cryptic message. He searches for the woman to find out the source of her power….